Product prices and availability are accurate as of 2019-04-22 23:03:53 UTC and are subject to change. Any price and availability information displayed on http://www.amazon.com/ at the time of purchase will apply to the purchase of this product. 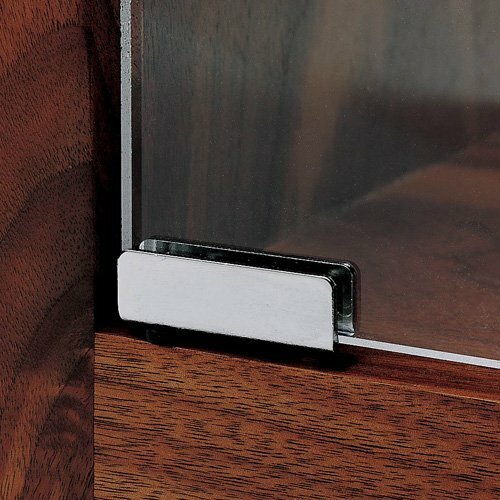 Use this hinge to insert glass to create a free swinging glass door. This pivot hinge requires no drilling of the glass and is simple to install. Choose from Polished Chrome, Polished Brass, or Satin Black Finishes. Sold in pairs. Technical Details: Glass Door Pivot Hinge is simple to install and requires no drilling of the glass. Use on inset doors only. Pressure screws will hold 1/4" thick glass securely in the hinge. Requires a 9 mm hole for pivot bushing. Requires Magnetic catch / Magnastrike . 28 lb. load rating per pair. Available in Polished Chrome, Polished Brass or Satin Black Finishes. Sold in pairs.